At 30, I am making every one of my English teachers happy, as this almost birthday girl has been thinking of Pony Boy Curtis. The greaser from the S.E. Hinton’s book “The Outsiders” has come to mind several times this August as I set to mark my golden birthday – the day you turn the age of the day you were born. While the American novel is filled with the drama of rumbles and the fuzz, the phrase “stay gold” stands as poetic reminder to remain true to oneself and in full of goodness and innocence. August prompts me annually to reconnect and give more of myself to others and the causes I am passionate about it. Last year I launch a month long thank you campaign – #30for30notesofgratitude – sending notes of thanks to people in my life. In the same vein this month I want to pledge to donate 31 extra hours of volunteer time. Much like my gratitude practice I dedicate a great deal of my time to volunteering. I find it rewarding to work with many organizations including Whisper n Thunder, Arizona Humanities, Valley of the Sun United Way and the Phoenix Symphony. In each role I have learned so much about the impact the organizations have in our community. 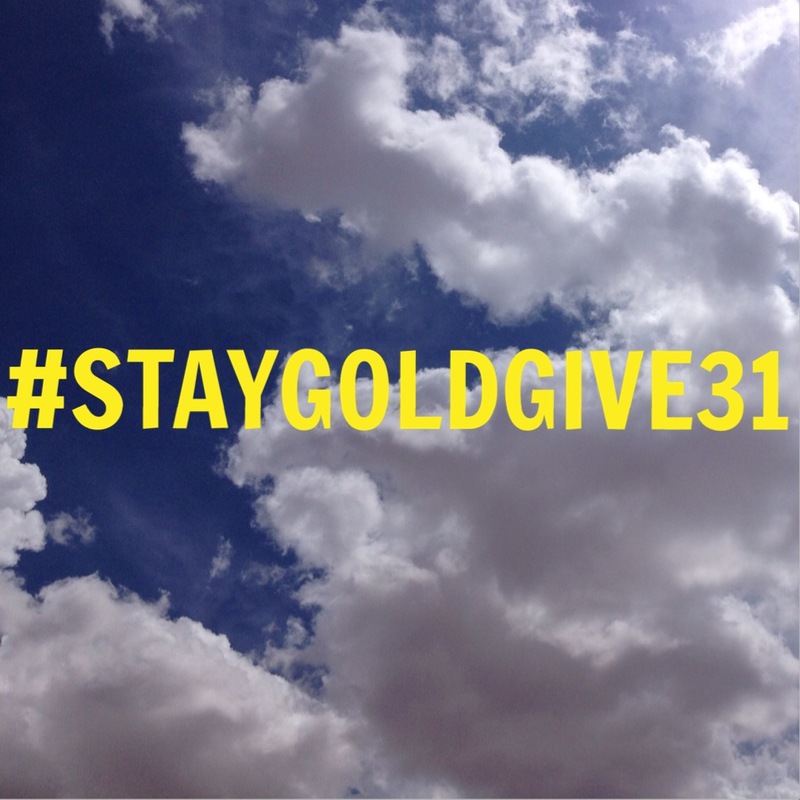 My #STAYGOLDGIVE31 challenge is my effort to remember being involved and active in the many communities I am a part of is critical to my personhood as an asdzaan Diné (Navajo woman). Whether it is helping out relatives with ceremonies or taking care of our elders, the giving of time to help one another is a priceless gift. Foundational to improving our society is remembering being a part of a community carries with it an inherent obligation to not solely show up but be present and participate. Stay gold friends. I experience your unique asdzaan Diné personhood having been lived as “golden” throughout your almost 31 years. Your family taught you well! Happy birthday, August 31, and thank you for modeling all the ways you “give back” through volunteering in our community and world.